The Sweet owe a debt of gratitude to guitar maestro Ritchie Blackmore. 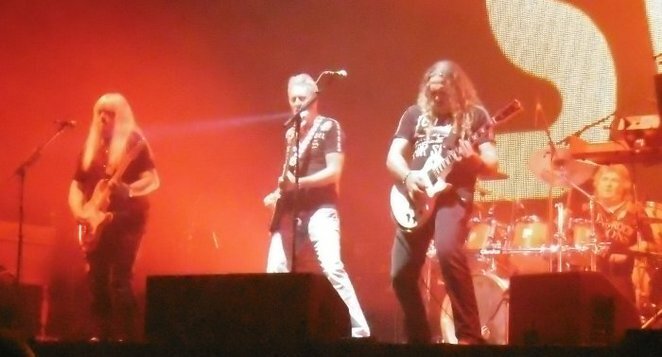 By inviting the veteran group to support his band, Rainbow, at Birmingham's Genting Arena he gave them the chance to once again perform in front of a huge British audience. ''We don't play arenas like this in the UK,'' said guitarist and sole original band member Andy Scott, before adding that's it's a different story on the Continent where The Sweet tour regularly and attract healthy audiences. He also said he has another reason to thank 72-year-old Ritchie for the invite. At the age of 67 Andy is usually the oldest person on stage – but not tonight! The Sweet are canny enough to know this support slot is an opportunity not to be missed and their 55 minute set is tight, full of hits – and has the crowd on their feet and cheering by the time of the encore of Blockbuster and Ballroom Blitz. 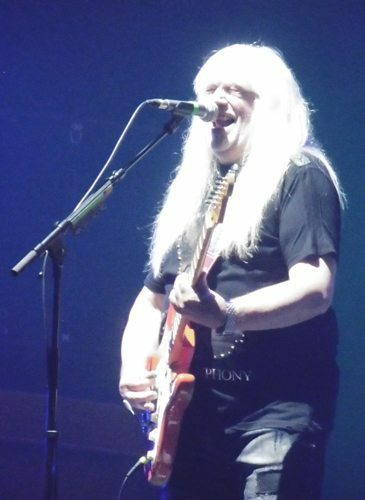 Despite Andy hinting that he may not be on top form due to recent hospital treatment (''I'm as full of drugs as I was when I played Birmingham in the Seventies,'' he quips) the band is blessed by a strong line-up of quality musicians. Singer and bass player Pete Lincoln quickly forms a bond with the audience as he belts out Sweet classics like Action, Hell Raiser and Teenage Rampage. To his left, keyboardist and guitarist Tony O'Hora has a voice strong enough to sing lead – and he can really reach the high notes. 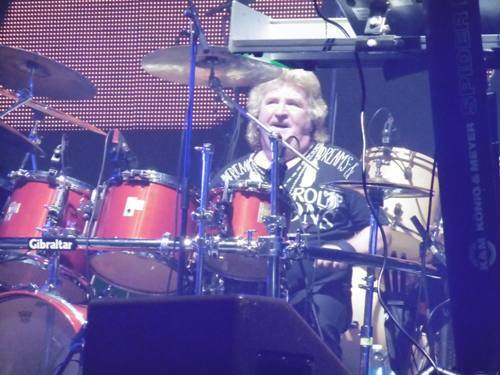 Supplying a reliable beat is drummer Bruce Bisland (pictured above), who has been in The Sweet for 25 years. And what a talent he is, spicing up the pop sensibilities of the songs with interesting twists and turns. The Sweet are currently enjoying chart success around the world (but not in Britain, according to Andy) thanks to Fox on the Run's inclusion on the Guardians of the Galaxy 2 soundtrack. 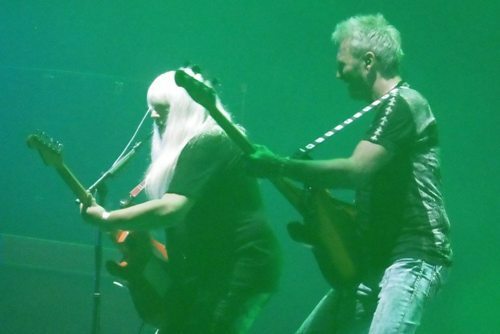 But they are best known as one of the top Glam Rock bands of the Seventies and original members Brian Connolly and Mick Tucker, both no longer with us, are remembered with a dedication before a cracking version of Love is Like Oxygen. A quick look on The Sweet website confirms that future gigs are all in Europe, especially Germany. From the tremendous audience reaction at the Genting Arena, Britain is missing out on something very special.